A New York hospital center that dispatched paramedics and treated Eric Garner as he died after being placed in a chokehold by police, has agreed to pay the family $1 million, according to court records. The settlement with Richmond University Medical Center and Eric Garner family is confidential, but court records obtained by the Associated Press disclosed the dollar amount. It is the maximum sum allowed under the hospital’s insurance policy. "The EMTs did not conduct the appropriate examination" of Garner at the scene and "failed to provide him with the necessary life-saving procedures," according to the court documents. 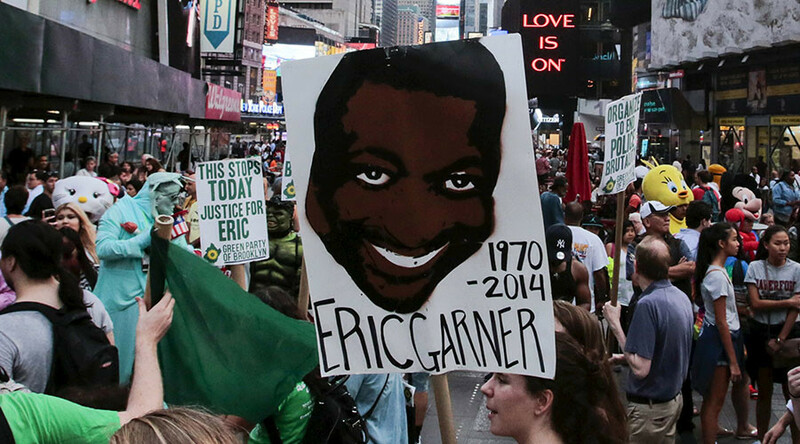 Garner, a 43-year-old African-American father of six, died during an arrest on July 17, 2014. Video of the arrest was widely circulated online and showed Garner yelling, "I can't breathe!" after the white police officer Daniel Pantaleo wrapped his arm around Garner's neck and wrestled him to the ground. Emergency workers arrived after officers call 911, checked Garner’s pulse and made sure he was breathing before placing him on the stretcher. Garner had repeatedly told officers he couldn’t breathe as he was being subdued. Hospital records filed with the court documents showed that Garner went into cardiac arrest on the stretcher. Medics tried to resuscitate Garner in the ambulance and doctors performed CPR at the emergency room before pronouncing him dead. The medical examiner determined his death was caused by the chokehold and restraint by police, coupled with acute asthma, obesity and heart disease. Emergency technicians who responded to the call were suspended without pay but have since been reinstated. The hospital had no comment for reporters on the settlement. Garner’s death, coming a month before the death of Michael Brown in Ferguson, became the focus of national protests over police brutality, and helped birth the Black Lives Matter movement. The records from Surrogate’s court on Staten Island also showed the separate $5.9 million wrongful death settlement announced by New York City in July, and outlines how the money will be dispersed to Eric Garner’s family. The wrongful death settlement came after no criminal charges were made against the police officers over Garner’s death. A federal probe continues over whether his civil rights were violated, and officers involved in the arrest have been called before a federal grand jury in Brooklyn.